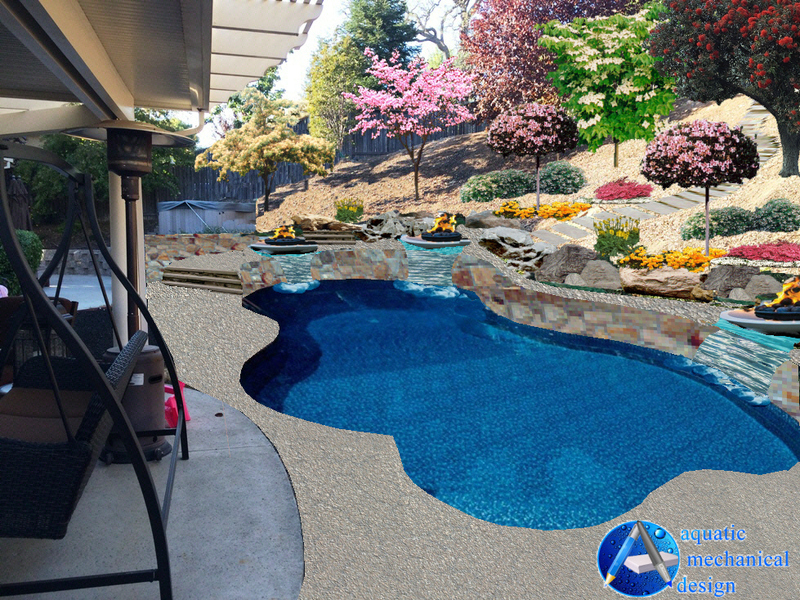 This pool is now 35′-6″ in length and it’s variable width is shown on the drawing. 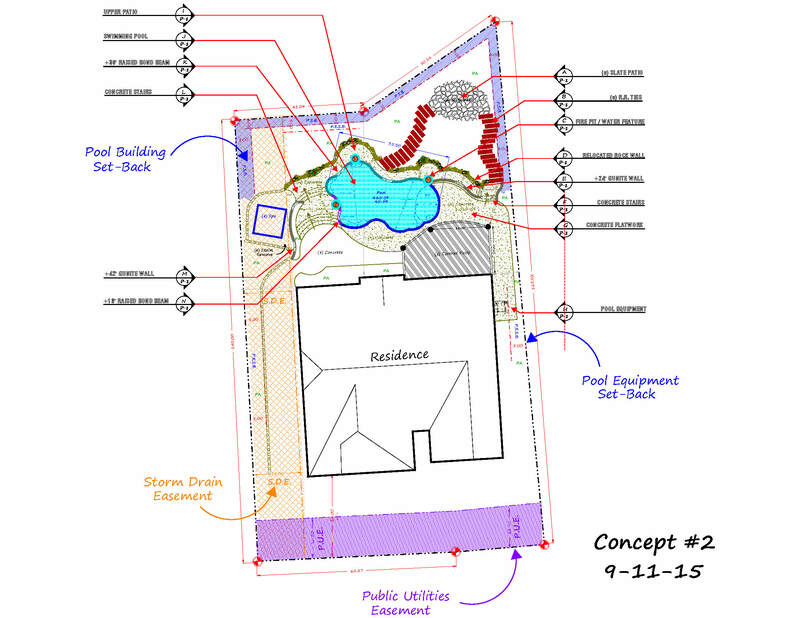 The pool is sized at 480-SF and 95-PF, as drawn. The bottom depth ranges from 3’6″ in the shallow to 7′-0″ in the deep end. The pool’s water volume is approximently 18,500 gallons, thus requiring a pumping flow rate of 51 gpm in order to accomplish Title 24’s energy efficiency guidelines. 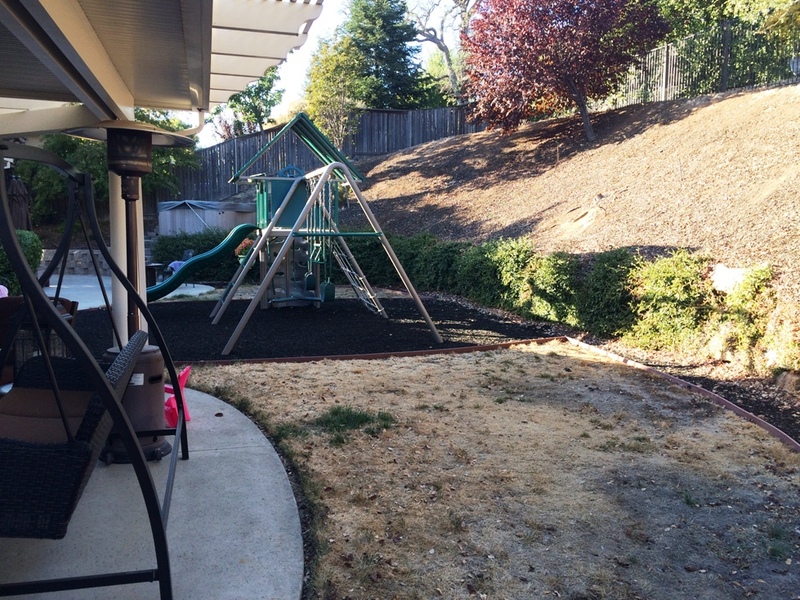 The pool equipment Set-Backs are 5′-0″ as is typical…thus we have placed the equipment on the right side of the home (9′-0″ between home and fence) in order to be compliant with clearances. There are (2) two sections of Raised Bond Beam (+36″ and +18″), as well as (2) two Gunite Wall sections (+42″ and +24″). This together with reusing the existing rock boulders will help to recapture usable space by cutting back into the existing slope.